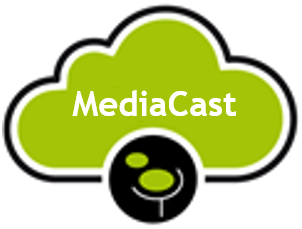 MediaCast is ENENSYS’s virtualized software designed to support the delivery of live content from HEVC encoders or non-real-time content over ATSC 3.0 networks using ROUTE or MMTP protocols. HEVC is the video encoding format defined by ATSC 3.0. MediaCast interfaces with multiple encoders that generate DASH or MPU segments containing all the audiovisual content and manages the delivery of up to 20 services. MediaCast generates all the service signalling (SLT & SLS) as requires the ATSC 3.0 standard. Service Signaling provides service discovery and description information. The Service List Table (SLT) enables the receiver to build a basic service list, and bootstrap the discovery of the SLS for each ATSC 3.0 service. The Service Layer Signaling (SLS) enables the receiver to discover and access ATSC 3.0 services and their content components. 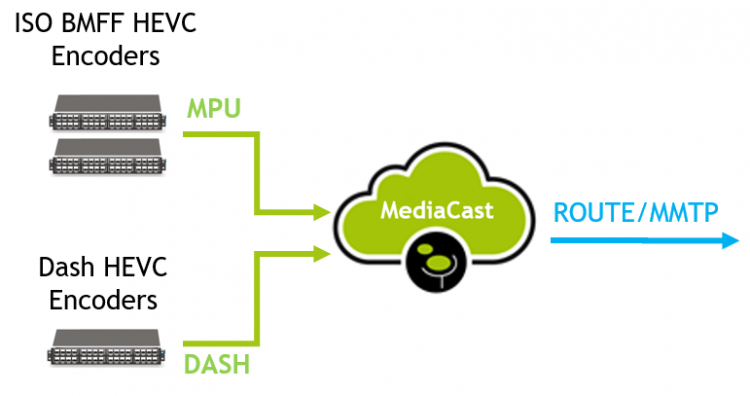 MediaCast delivers in multicast the DASH segments over ROUTE protocol, the MPU segments over MMTP protocol and the related signalling. 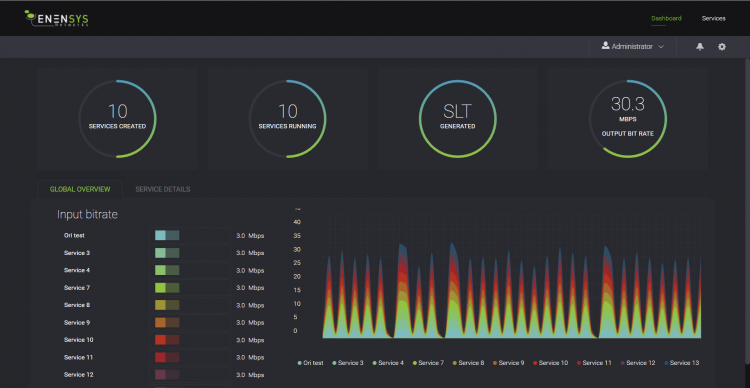 1 Ethernet interface for MediaCast management (GUI & alarms). 1 Ethernet interface to receive DASH/MPU segments and deliver in output IP multicast streams over ROUTE or MMTP protocol.